A brand-new event for Lancair owners, the 2018 Great American Lancair Rally will be a multi-stage “grand tour” of the Western US. Starting and ending in Central Texas, the Rally will take place September 24th through October 5th 2018. At each stop, there will be food, drinks, and fun for everyone. Lancair plans on making instructors available to pilots who would like any kind of training along the way. Hank Gibson from Texas Top Aviation will be one of the instructors available. Lancair plan to make the Great American Lancair Rally an annual event, with the 2019 Rally spanning the eastern half of the country. 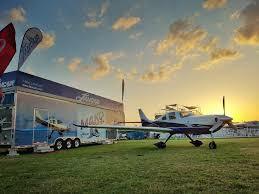 The Great American Lancair Rally is open to all Lancair owners, potential owners and interested aviators. Fly a different airplane? All makes and models are welcome! For more information & to register, check out the 2018 Great American Lancair Rally’s website.